Roses are red. Violets are blue. 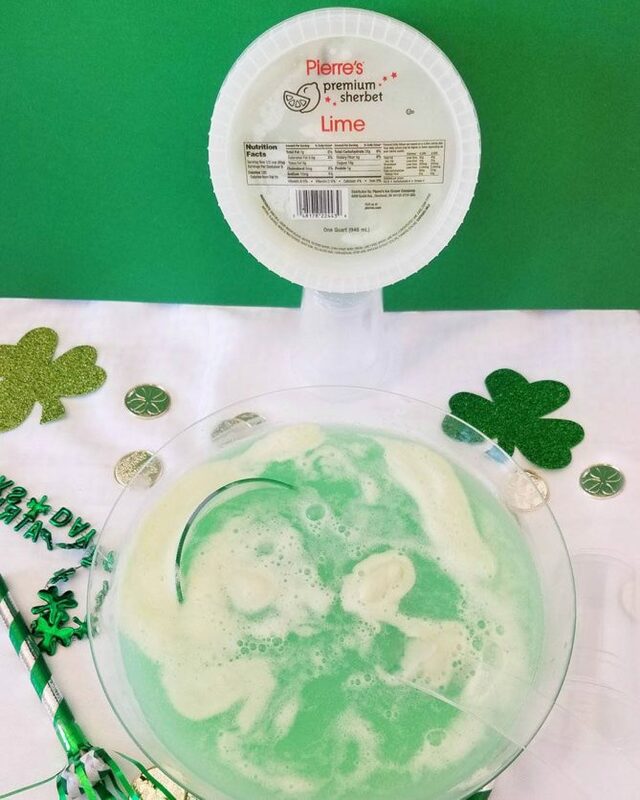 Enjoy these ice cream ideas, from us, to you! Valentine’s Day is just days away! For those looking for something fun and special to share with their loved ones, we’ve assembled some of our most beloved flavors and recipes for the occasion. 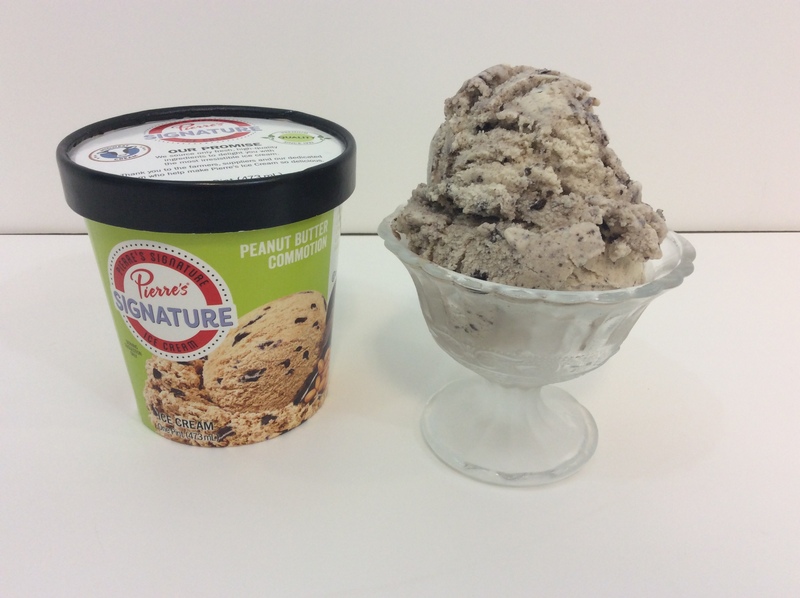 Is there a special ice cream flavor – or maybe flavors – your loved one enjoys? What about a favorite sundae or milkshake recipe? Perhaps your perfect Valentine’s Day dinner needs a perfect dessert, like warm hot fudge drizzled over a Vanilla-Bean-Ice-Cream-topped brownie! There’s something about cherries and chocolate that just go together … kind of like you and your Valentine, right? 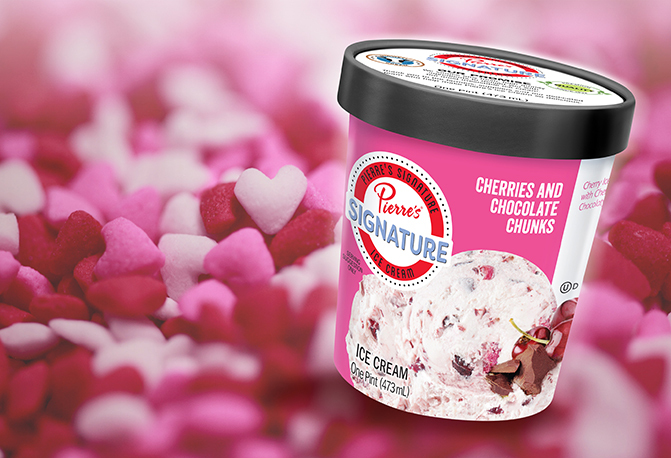 Pierre’s Signature Cherries and Chocolate Chunks blends indulgent cherry ice cream, fudge chunks and cherries into a delicious pint. 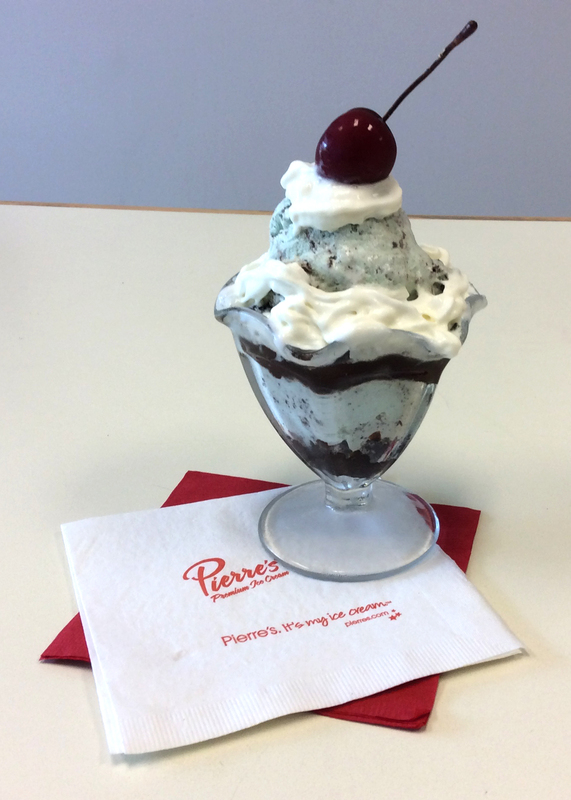 There’s also Pierre’s Premium Black Cherries & Chocolate Chunks and … for those who simply love cherries … Cherry Vanilla. You need only three ingredients to make this delicious dessert that will make any sweetie swoon with delight. Pierre’s Cupid Cake is made layering Pierre’s Premium Chocolate Ice Cream between Pierre’s Vanilla Ice Cream Sandwiches! Top with chocolate sauce … or any other favorite topping … and enjoy! Pierre’s Signature Chocolate Lava Cake and Premium Double Fudge Brownie flavors are delicious by themselves or as part of a delightfully decadent sundae. For those who really love their chocolate, you can’t go wrong with a scoop of Extreme Moose Tracks … chocolate ice cream with Denali Moose Tracks® Fudge and chocolate cups filled with more Denali Moose Tracks® Fudge!